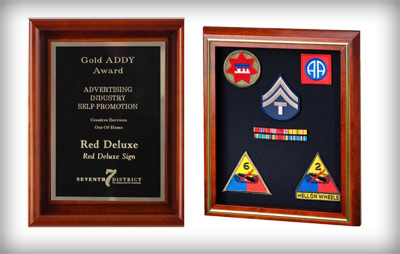 Handmade walnut or cherry shadowboxes are a beautiful way to display ribbons, medals and other mementos. Choose from black, blue, green and red velvet backgrounds. 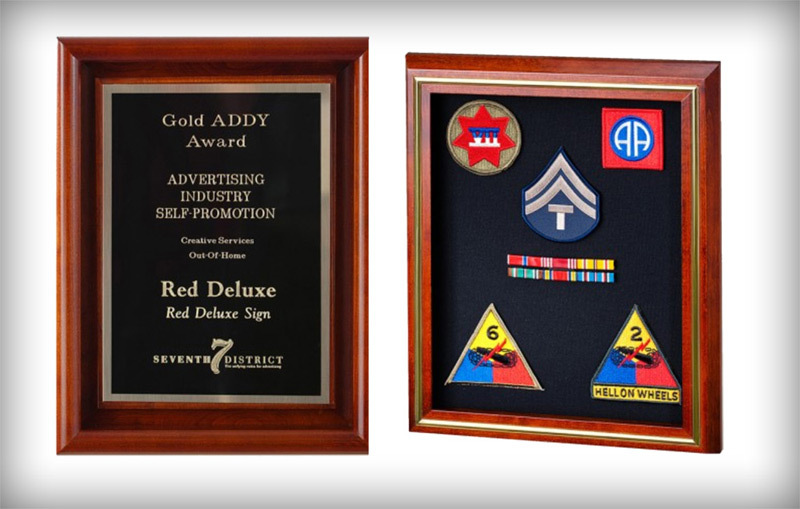 Finally, add an engraved plate for a distinguished finishing touch! For engraving cost information, click here.